Happy Christmas Eve! I’m popping in quickly with a card I made for my daughter’s birthday which is today. It uses the Jane’s Doodles stamp set called Cats. My daughter just adores cats. You can find the original post on the Jane’s Doodles blog here. I hope you have a wonderful Christmas time with your loved ones. Merry Christmas! I hope you are all enjoying this wonderful time of the year celebrating the birth of Jesus. I’m all ready for Christmas and for the first time ever, we will be spending Christmas Day with just the four of us and no extended family (but we will be spending time with friends). 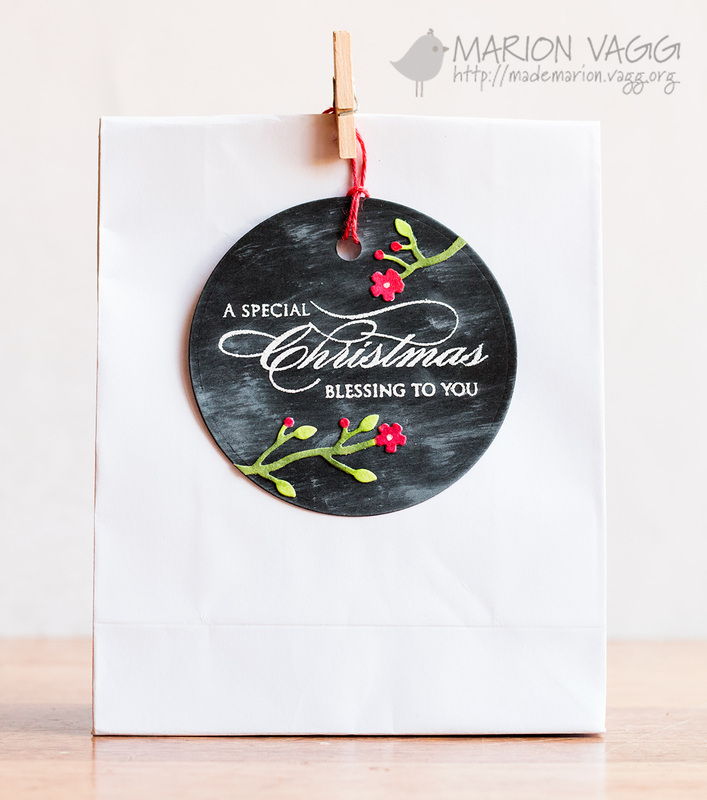 Today I have some Christmas tags to share with you made with Penny Black products. I have gone for a simple black and white theme with a pop of colour! 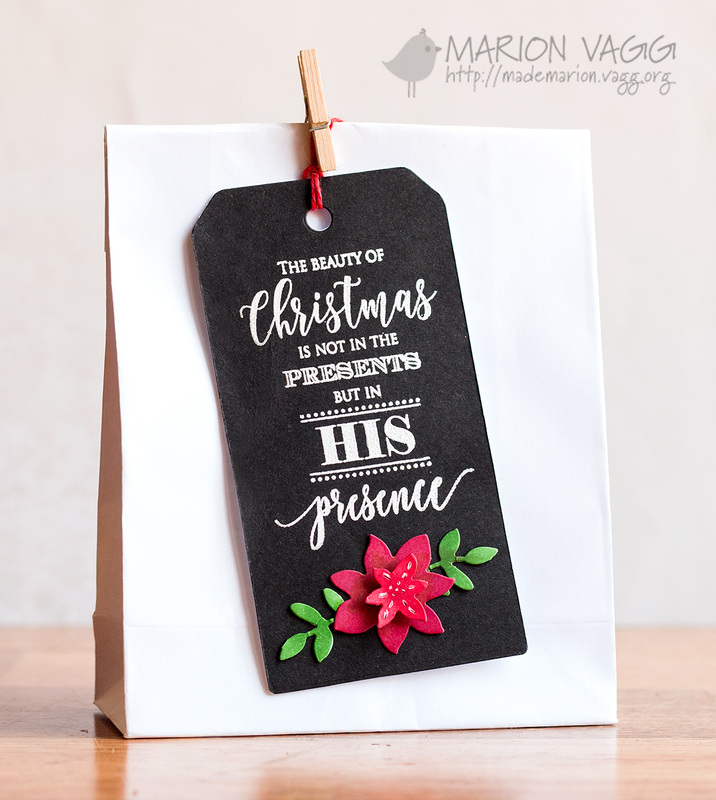 The first tag uses the Tagged Creative die as well as parts of the Poinsettia Bough Creative die, that I coloured with Copic markers. The sentiment is from the Rejoice with Joy stamp set. The sentiment on the second tag is from the Festive Cheer stamp set, and the floral elements are from the Layered Scene Creative die. I distressed this one with some white pigment ink and a baby wipe to create a chalkboard effect. How is your Christmas coming together? I’ll be back tomorrow with another quick post. It’s been a bit quiet on my bloggeroo lately. I haven’t been putting my feet up though, but rather rushing around like a headless chook! School is finally finished for the year – reports are written and have been sent home, classrooms packed up and all the end of school concerts and presentations done! I’ve survived my kid’s birthday party and now I’m madly doing the last minute dash to be ready for Christmas. I’m almost there! But I’m tired. Anyway, I have a card to share that was over on the Jane’s Doodle blog last week using the Winter Wishes and Mr and Mrs Claus stamp sets. 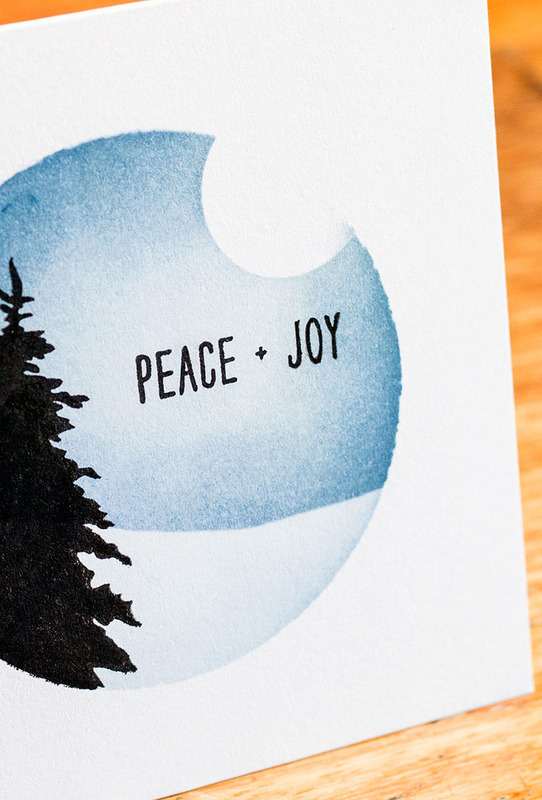 I have a serene one layer Christmas card over on the Simplicity at its Best blog. It uses the beautiful Penny Black Nature’s Friends stamp set. To check it out, go here.